It seems like I have been living in my little bubble and chirping about nothing else than little ole me. Well, it's time for others. First of all, I never got a chance to say Happy Fasting for those who are doing it! I also would like to welcome August. I had a splendid day-one-of-August and wishing more adventures, might it be an adventurous August. Last but not least, I also would like to welcome new sponsor, Juerii Shop! I got this coolest ear cuff from them. It takes my rather casual outfit one step further. And we decided to make this small humble little giveaway for you. This giveaway is open for local only. So, calling all Indonesian bloggers! This giveaway opens until 12 August 2012, 12PM WIB! And that's it! It's probably the simplest giveaway I have ever done in terms of gifts and requirements. LOL. I also would like to take this opportunity to let you know that The Sweetest Escape is always open for sponsorship! Send me an item, put a banner, or exchanging banner with other bloggers are more than welcome. Just drop an email at steviatepi@gmail.com . I haven't updated my sponsorship page for like .. forever. Making sure it's in my to do list! P.S. I'm sorry I haven't been vocal on your lovely blog, readers! It's quite a packed week. Not hectic.. Just.. I feel like there are so much little details to be done. My youth church, eXcellent Generation (XG), is holding this event called Emerge. We have futsal, basketball, dota, PS2, XG Factor (think Indonesia Got Talent), Fashion Photography, Words Power (memorizing verses from Bible), and preaching. Anyway, love your adorable outfit! 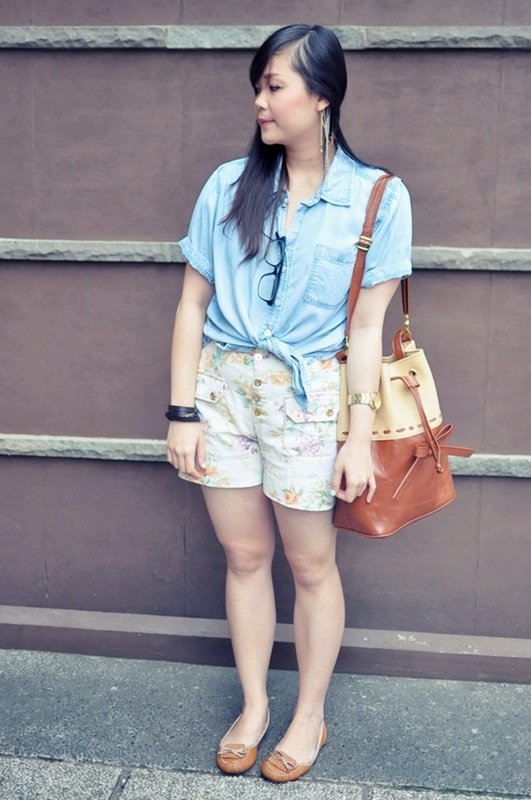 The knotted denim shirt is perfect with the floral shorts - so summery. Plus, your bag is cute! Love this outfit very much. 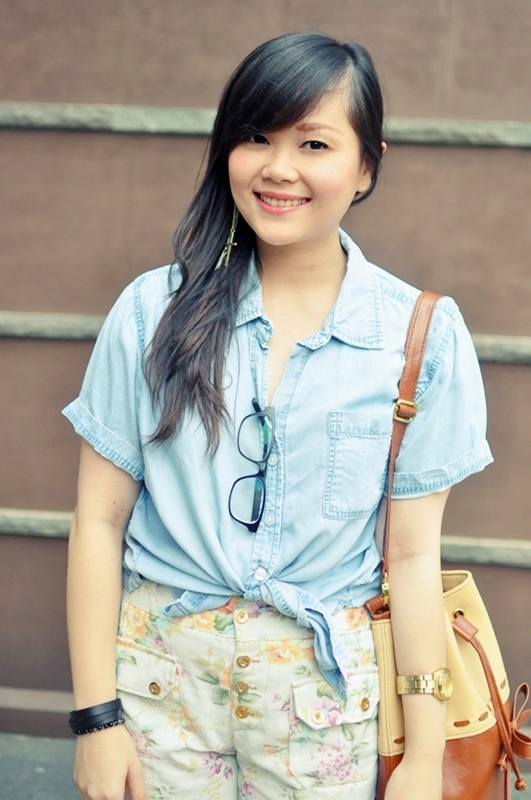 The chambray top and floral shorts are super cute together and I adore your earrings! you look gorgeous! and ooh, i'm in! Such a comfy and cute outfit! Thank you for the sweet comment! 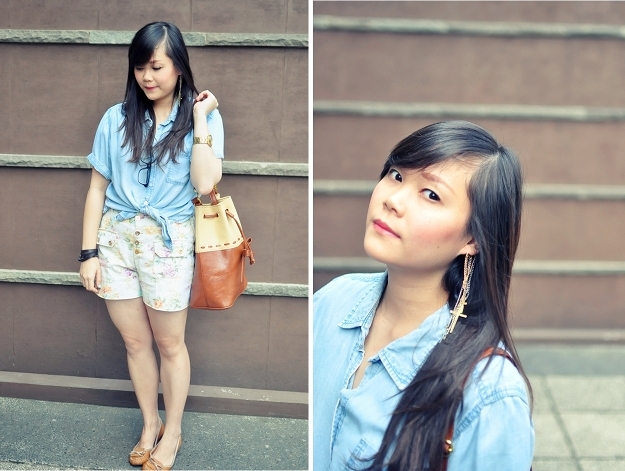 I love the chambray with those floral shorts. Such a pretty laid-back look! your bag! it is so vintage and great with the skinny bow. i like your "mess of earrings" and hanging frames off your chambray top. need i say this is so summer perfect? I like the color of your shirt. 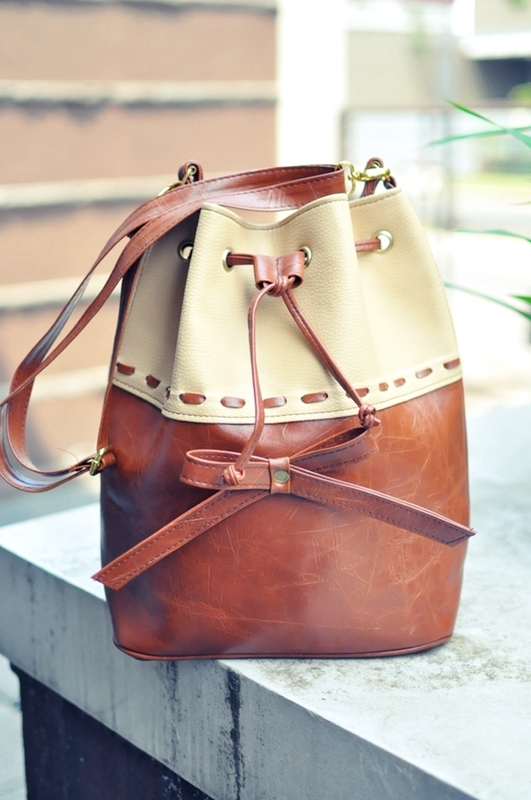 and that bucket bag, they're cool. 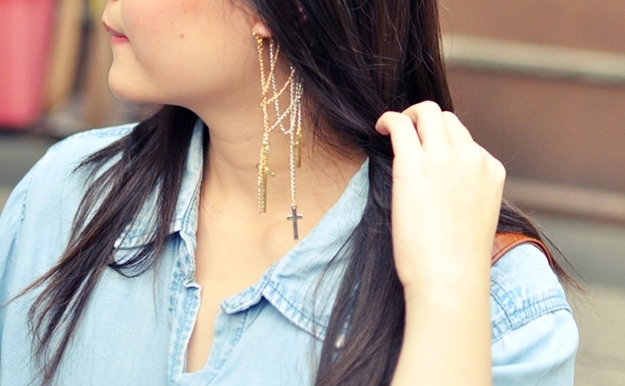 I love the ear cuff, unfortunately I'm not in indonesia though. 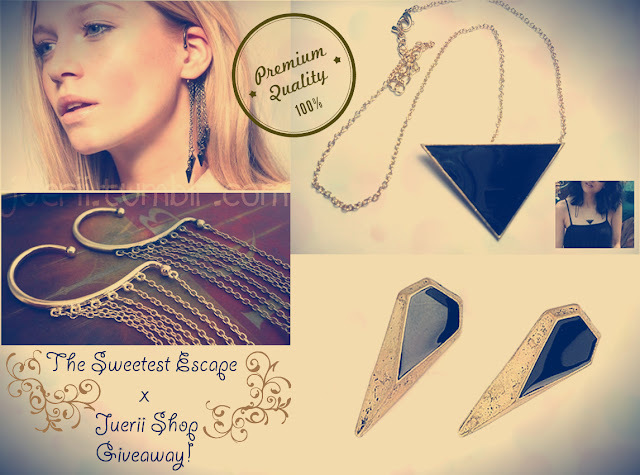 I am holding a giveaway on my blog also if you are interested in checking it out. Love your outfit! Cute causal!